Star Trek Costume Guide: Women's TNG skant pattern, Pre-order discount! 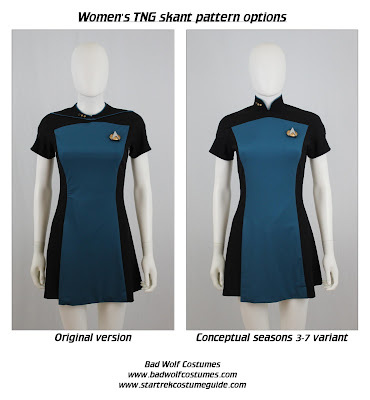 Women's TNG skant pattern, Pre-order discount! 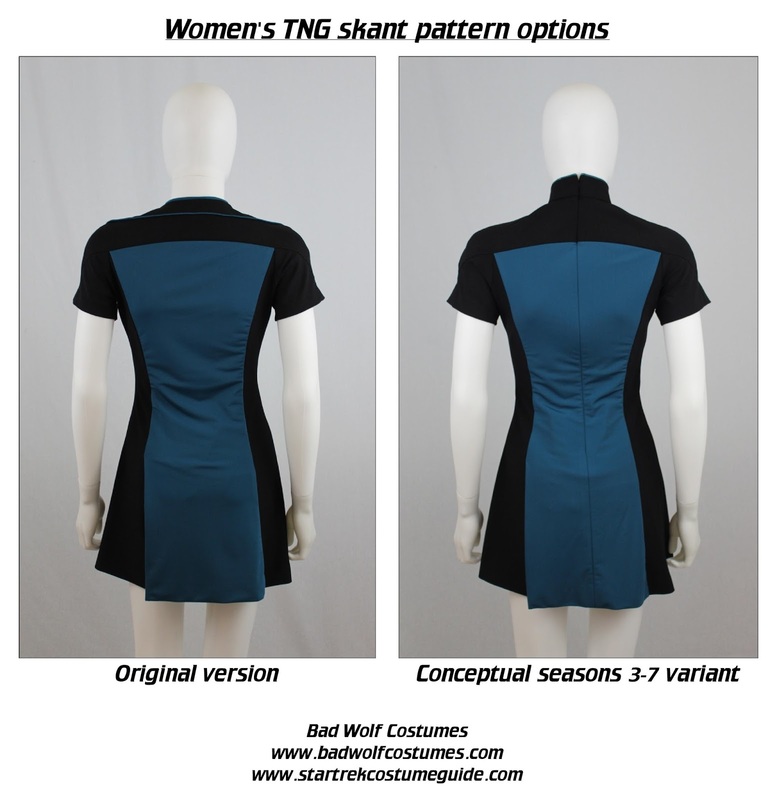 My (Bad Wolf Costumes) women's TNG skant pattern is now available for pre-order, at a 10% discount! Patterned directly off the original, screen-used skant I examined, this pattern features authentic vents, interior construction, and double-zipper closures! 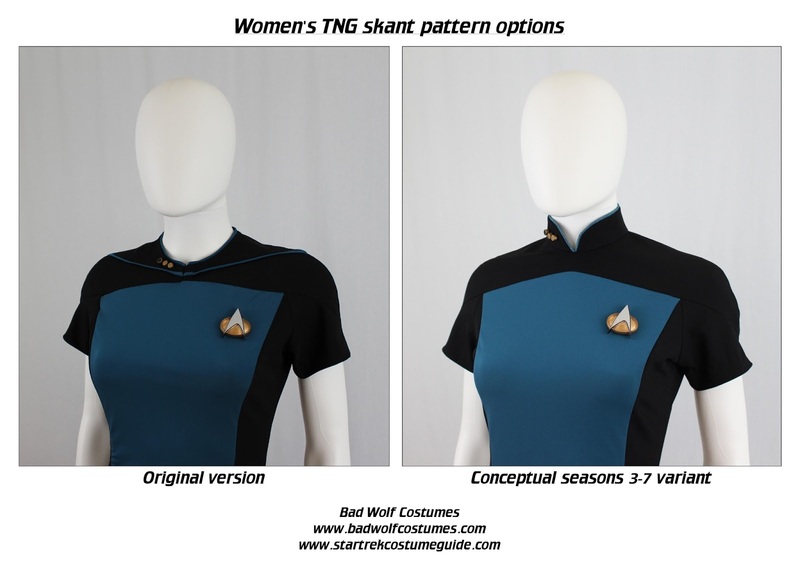 Just for the hell of it, I've also included a conceptual seasons 3-7 version of the skant, with the appropriate yoke and collar styles. 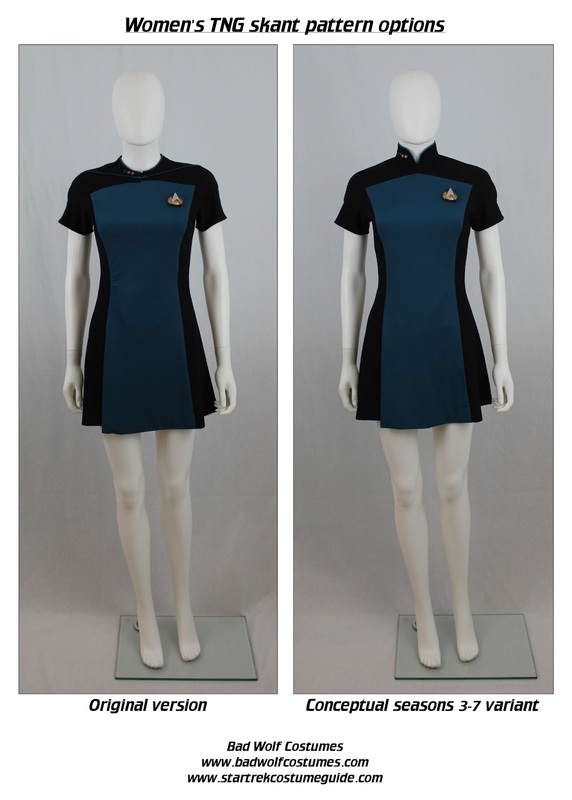 Both versions are included in women's sizes 6-24. 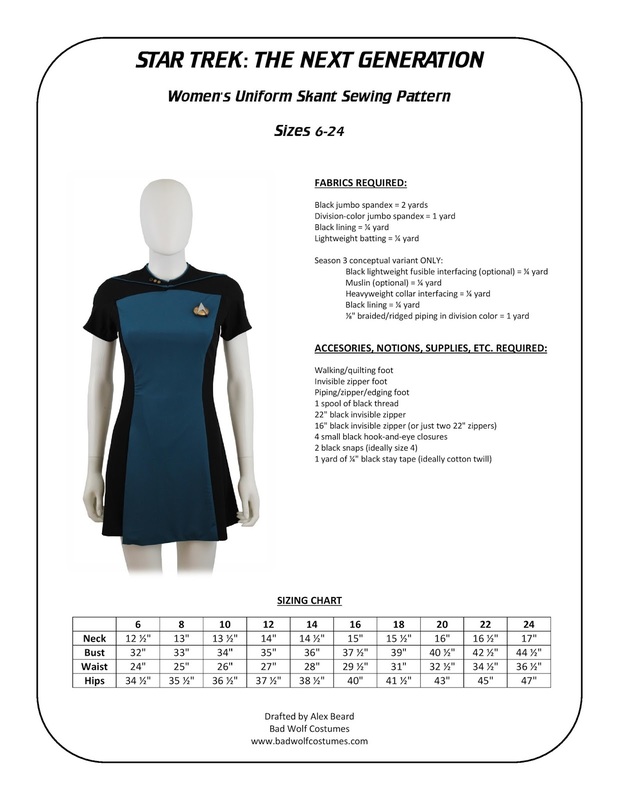 The pattern is printed on two large sheets and also includes a printed copy of text-only instructions. Pre-order your copy today at a 10% discount! Shipping will begin on Friday, April 6, 2018, at which point it will be listed at regular price. Free sewing tutorial (intended for use with this pattern) coming soon! 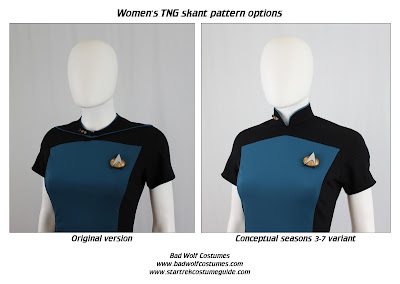 I'm also working on a pattern for the men's skants. 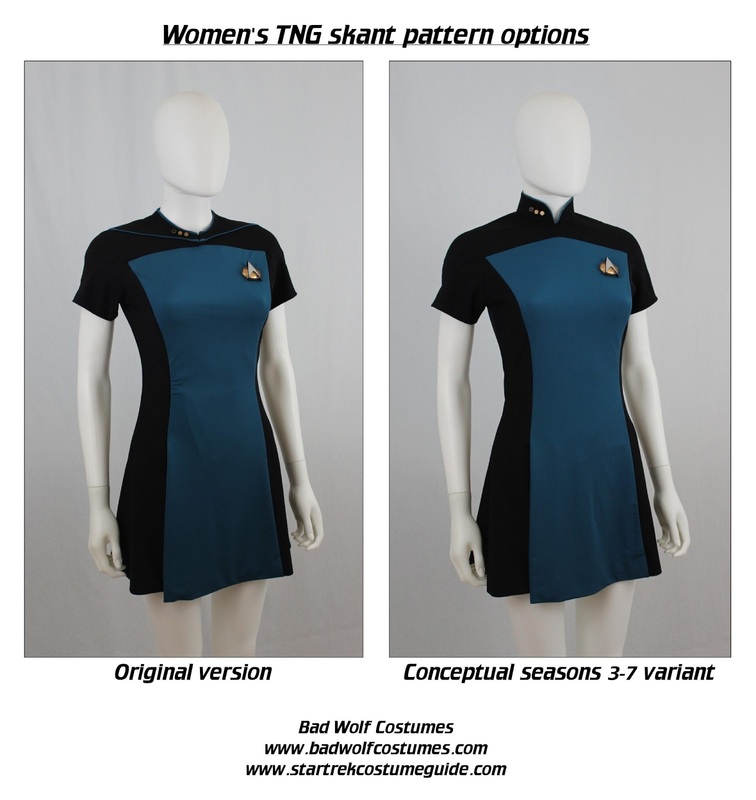 Subscribe to my "Costume Guide" e-mail newsletter (upper right corner) to hear about them as soon as they're available! Awesome! I’ve been wanting to make skants for myself and my boyfriend! 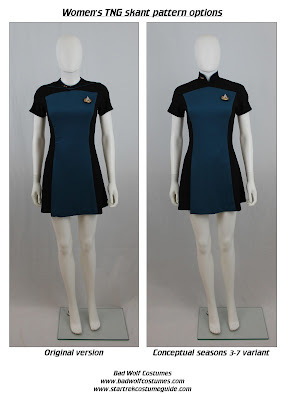 We JUST started watching TNG for the first time ever, and we love it. Any idea when the men’s pattern will be available too? 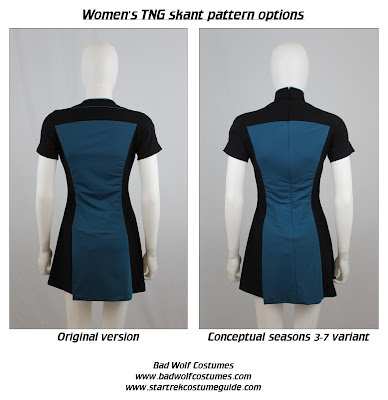 I'm glad you're enjoying TNG, and the blog! 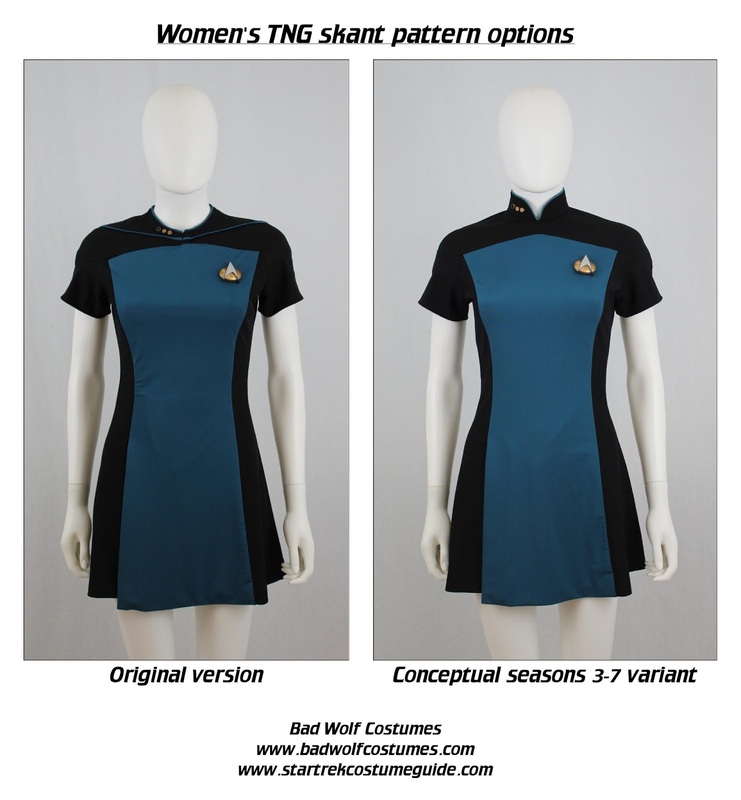 The men's skant pattern should hopefully be ready in about a month. 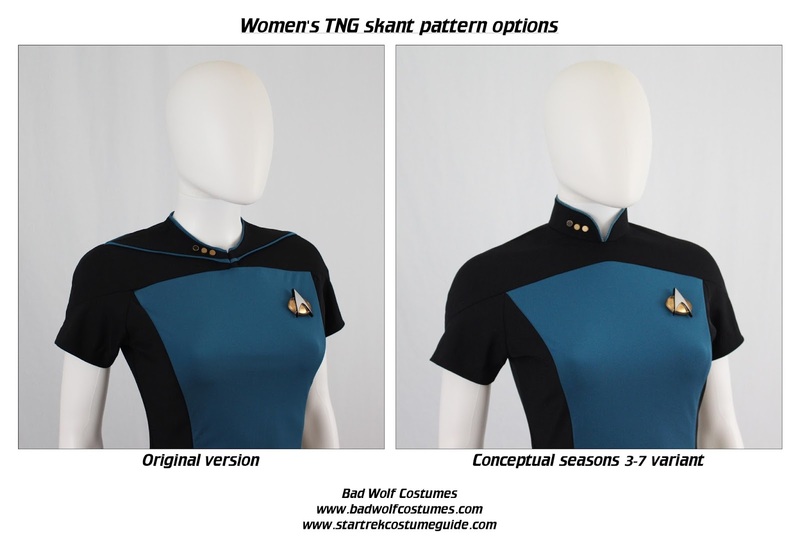 TNG skant analysis PDF added! TNG skant - who would have worn it best?